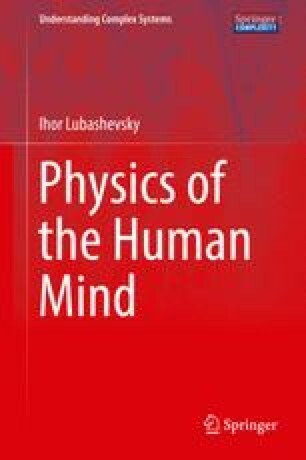 In the previous chapter I have proposed the concept of attractor-caused supervenience of the mental upon the physical. This type supervenience does not possess causal power, which gives freedom for the mental to cause mental as well as physical events. In its turn, the physical also have causal power to affect physical and mental events. Therefore the attractor-caused supervenience, on one hand, admits all the types of causation: inter-level, i.e., upward and downward causation as well as intra-level (horizontal) causation. On the other hand, the given relationship between the mental and the physical with respect to humans with well-developed consciousness obeys the general definition of supervenience. It means that each mental state of a human is coupled with some collection of the physical states of his/her body such that no changes in the mental state can arise without a change in the corresponding physical states. This approach opens a gate to resolving the Fodor-Kim dilemma via allowing the mental and the physical to be complementary components of an human individual whose interaction with each other gives rise to the mental-physical supervenience. English Oxford Living Dictionaries: access on 11 Dec 2016, Nomological, https://en.oxforddictionaries.com/definition/nomological. Ney, A.: Reductionism. In: Fieser, J., Dowden, B., Bishop, R. (Phil. Sci. Ed.) (eds.) The Internet Encyclopedia of Philosophy (2015). http://www.iep.utm.edu/red-ism/.